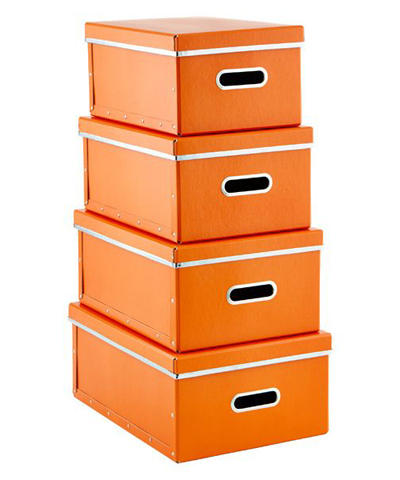 These Orange Store Anywhere Boxes make it easy to organize and access toys, books, and games. Durably constructed with reinforced trim, these boxes can store and store for years to come, as the laminated finish resists moisture and scratches. Set of 4. $19.99. Buy here.